From tomorrow, Pagans in the UK will have their very own radio station. Pagan Radio has its official switch-on at 7pm on 2 February 2012. The launch takes place at Imbolc, traditionally the start of spring and the perfect time for a new venture. 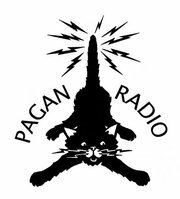 Pagan Radio aims to provide information and resources for pagans, help those who produce books, music, crafts and art promote their endeavours and to be a companion for solitary practitioners who can't always get to moots and meetings.